After three years of doing about 450 Nürburgring laps a year, this RSR Nürburg Nissan GT-R is finally ready to retire from track duty. Now it’s time to tabulate everything it’s burned through over all that high-stress mileage. 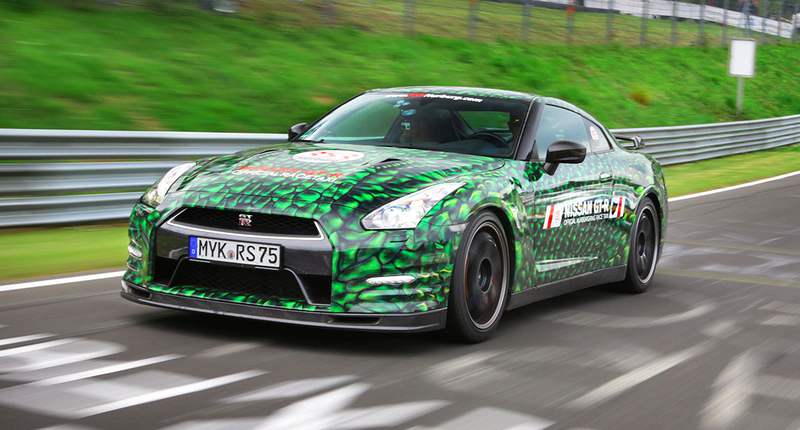 RSR Nürburg, a company that drives customers around the Nürburgring Nordschleife, is hanging up the keys to its Nissan GT-R taxi after three years of service at the German track that’s famous for fast driving. Here’s a breakdown of what it took to keep Godzilla alive through so much hard use. 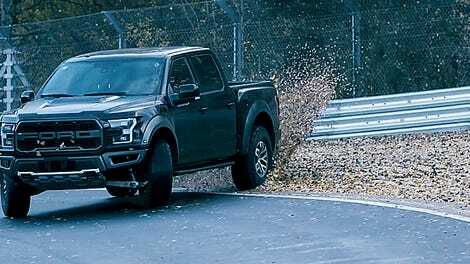 Hooning any car around a race track will do a number on its fuel economy, brakes, and tires. So it’s probably no surprise that a Nissan GT-R driven nearly 20,000 miles over three years on the Nürburgring has eaten through quite a bit of rubber, metal and fuel. According to an RSR instructor named Serxio Veiga, who’s in the video above, this green R35 GT-R has raced roughly 450 laps every year around the ~13 mile circuit, for a total of about 6,000 annual miles on the track—mostly driven by company owner Ron Simons. Three years of this, Kostas Sidiras from RSR told me via email, plus some taxi duty at Spa-Francorchamps and some other miscellaneous driving means RSR put about 20,000 miles on this Nissan GT-R, which he says was first registered in 2012 and features a preproduction 2014-model Track Pack setup. All that tough service, Sidiras says, required an average of 105 tanks of fuel per season, each of which lasts from about March to November. With a 19.5 gallon tank, that equates to around 2,100 gallons of 98-octane (based on the research octane number) per year; Considering the pump he uses in the clip above charges 1.46 Euro per liter (or $6.60 per gallon), those 2,100 annual gallons of fuel total up to nearly $14,000 in fuel annually. (It’s worth noting that, in the video above, Veiga says those 105 tanks actually translates to 1,400 gallons, but according to Sidiras, the 105 tanks-per-year figure is an average, and the 1,400 gallon figure applies only to the 2017 season, in which the car was driven less than in 2015 or 2016). “All the above aren’t calculated in our metrics and hence the spreadsheet value we have on this car is lower than the real one,” he told me via email. 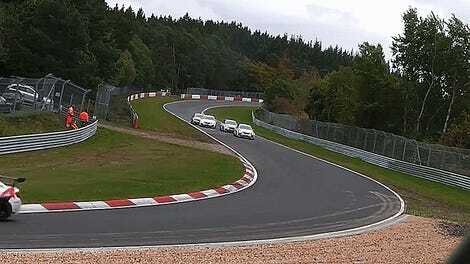 As for tires, Veiga says in the video that the GT-R went through eight sets per season, totaling over 100 over three years just for taxiing people around the ’Ring. He says that every second tire change requires a new set of brake pads and rotors. But Sidiras says, according to his maintenance logs (which RSR keeps for its ~100-vehicle fleet of rentals and taxi cars), the figure is actually about 100 tires each year, for a total of 270 tires changed over the three seasons, or around 68 sets. It’s worth mentioning that the GT-R ate up front tires much faster than rears, so not all changes were done in full sets, Sidiras told me. He also told me that RSR did 28 brake swaps on Godzilla during its time shuttling people around the Nordschleife, each of which included swapping out at least the front pads, but possibly also the rotors and possibly the rears as well. As for the bigger bits, Sidiras told me that the GT-R, which already had over 12,000 miles “of hard use” on it when RSR got it, has been through a few turbos (Sidiras says this was “more preventive maintenance to keep it performing 100% than actually having a problem”), a differential and a transmission.